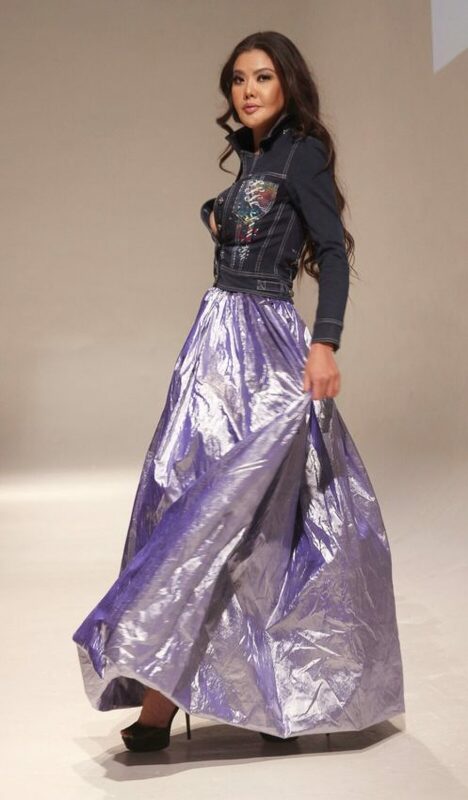 ParkerWhitaker Productions run by Sarah Parker and Erin Whitaker produced a fabulous fashion weekend in LA recently and provided every style wish you could ask for. 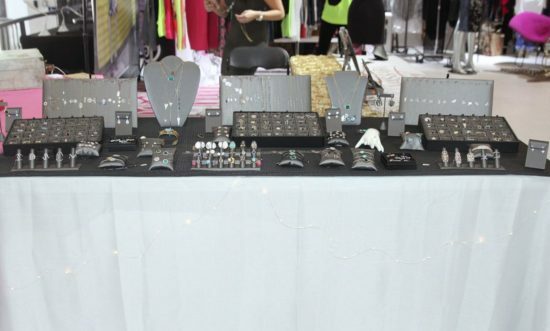 The two-day event showcased pop-up shops and evening fashion shows. ParkerWhitaker Productions is an Events and Event PR Company based in Los Angeles that bring their client’s vision to fruition. ParkerWhitaker assisted in the launch of ReveLAtion November 6th and they did not disappoint with a brand new series of fashion events running a party-style fashion market by day with pop-up shops, full bar and food, and designer shows by night. The standout event kicked off like no other with a special Q&A breakfast discussion by designer to the stars Michael Costello. The ReveLAtion Market featured mega Pop-Up shops from major brands including Nicole Miller and Stussy as well as up and coming designers you can’t find anywhere else. Jewelry designer Nadiandlo featured her artistic eye not only in chokers, bracelets and rings, but also in her must-have layered necklaces. Vassari Boutique’s delicate jeweled pieces were instant favorites for the guests. ReveLAtion also showcased chic beach inspired swimsuits in bright summer colors by Santa Monica brand Tony Swimwear. LA favorite trendsetters made their mark too. Foxbait presented a full range of new patterns and touchable fabrics. You can even accessorize your outfit with sleeves by Derivative Apparel. The Market also hosted brands that give back; some brands that support incredible diverse causes include: Strong and inspired fitness apparel by Evolve Fitness wear – tough enough to last while light in fabric to make you feel good, Ladera’s made in LA tees and tanks for men and women that go with everything and too soft to let go and stunning hand-dyed apparel by Fatim Bahh. The Market included some unique designs by Mariely Pratts, Belle Neptune, and Jessie Liu plus delicious food by Carmenita Helligar Designs! 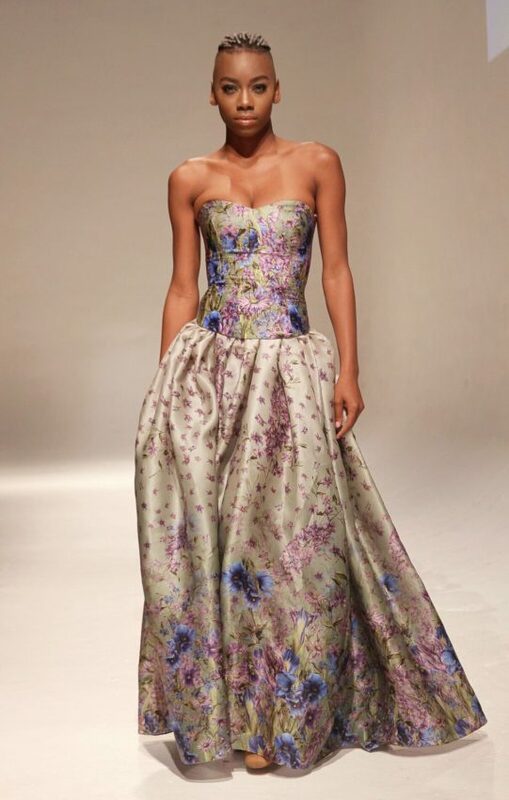 Makany Marta’s collection lit up the audience with a collections of flowing dresses rich in detail and floral. There were also sheer dresses in deep greens and pale creams, plunging necklines and creative playful denim designs were a few of the pieces that stole the show. Maggie Barry closed the show like only she could with metallic, sparkles, skin, and high energy. Her “Beach Club” Collection dazzled with silvers, golds, and of course, neon to brighten up everyone’s life. Bikinis bounced down the runway with matching capes and side snap pants and pops of color. 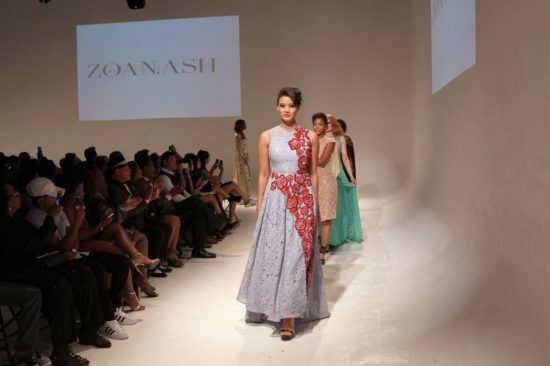 Zoan Ash Regal gowns and dresses kicked off Sunday shows and ran a palate of deep greens pale golds and bright teals. The short collection was emboldened with impeccable detailing and fine fabrics. Perry Jones II debut on the runway was met with instant fandom. 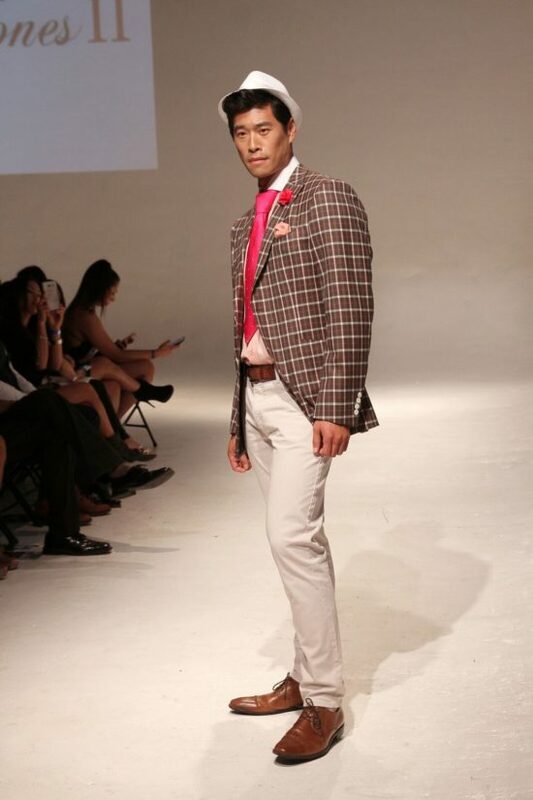 His 3 piece tailored suits in plaids are a daring choice that the designer pulls off masterfully. The sophisticated and wearable designs brought a level of class to menswear redefining the fashion options for the modern gentlemen. 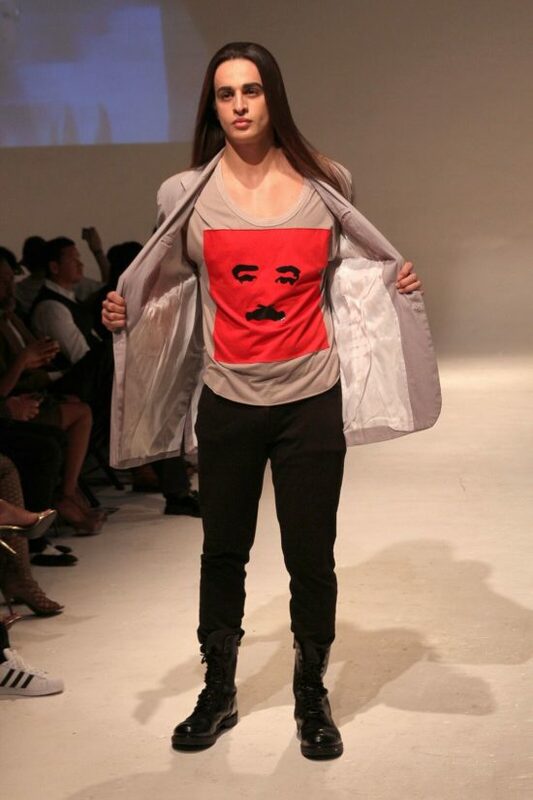 M the Movement emotional return to the runway was reflected in his background video highlighting his moving journey as a designer as the models showcased his latest versatile designs. The collection featured his iconic style of menswear jackets, pants and signature tees with pops of bright red and teal in soft leather jackets for men and women. 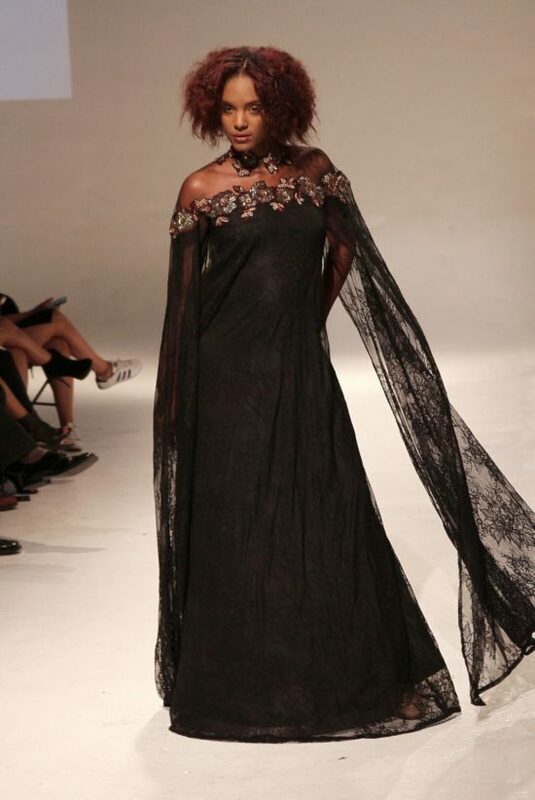 The show featured celeb models Rapper Layzie Bone and Choreographer Shane Sparks. Congratulations to ParkerWhitaker as well as all the beautiful fashion brands and designers that made a trendsetting statement for the event. We will see more to come from all.